Jessica began a good foundation in gymnastics at the age of 5. She competed in both compulsory and optional gymnastics at a private gym as well as on her Varsity Gymnastics Squad for her High School in Alaska. Throughout this time, she earned many top awards and metals. She began coaching recreational, team and elite levels as a hobby when she moved to Utah while she studied to obtain her degree in Science. 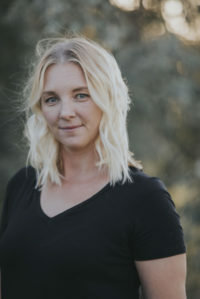 She has taught gymnastics at various gyms in the valley from Bountiful, Sandy and West Jordan. 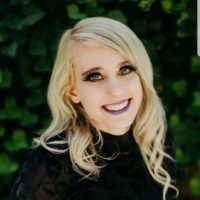 Never missing an opportunity to learn, Jessica participates in webinars, and visits gymnastics facilities to keep up with the latest spotting techniques, and teaching trends. Jessica brings a great deal of training in the art of coaching through courses and learning from other coaches. For 20+ years she has been involved in some aspect of gymnastics whether it is teaching tumbling (floor exercise), or all four gymnastics apparatuses. Jessica is passionate about teaching proper technique and always looking at “creating” a tumbler. Never teaching a cartwheel but a cartwheel that can become an aerial. Never teaching a round off, but a round off that can bring power to a tumbling pass. Teaching age 3-18-year olds she is creative and enthusiastic about her job. Bachelors of Science U of U, USA Gymnastics member, USGA instructor certified, Certified in first aid and CPR. She now shares her teaching concepts with our own Synergy coaching team to help develop a strong coaching front. Inspiring and enabling coaches and tumblers alike to be the best they can be. I teach because I want to give every student the opportunity to love and have a passion for something that I love so much. The best part of my job is seeing the children grow. Nothing makes me happier than seeing faces light up with joy and pride after they have finally perfected a skill. I want every student to have the opportunity to know the love dancing brings. McKayla is trained in various genres of dance as well as tumbling. She has 16 years of training and 6 years of teaching experience. She has won several awards including, “High-point”Â and “Overall”Â. She participated in Ballet West’s production of The Nutcracker for several years and starred as lead child role. In High School, she was on the Copper Hills Drill Team and held various officer positions, including Co-Captiain her senior year. While on the drill team, she won several awards in Drill Downs including first at Region and first at State. She was also awarded the drill All-Region Academic Award for several years as well as ALL-State Academic and All-State Drill. Her team also placed first at the State Drill Competition. McKayla has been a dance and a tumbling teacher at Synergy for the past 6 years. She has helped train all levels of dance and tumbling. She choreographed and coached solos that have won top placement at competitions. She has also choreographed several tumbling and dance routines for showcases. McKayla has also choreographed several competition team routines and has won the Grand Champion Award multiple times with her choreography. 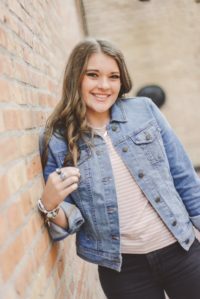 She is currently attending the University of Utah to further her training in dance as well as participate in the Mechanical Engineering field. 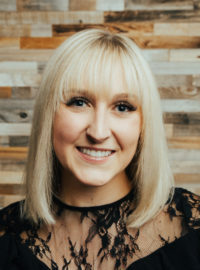 “I enjoy seeing the smiles and excitement in my student’s faces when they perfect a skill or technique I have taught them.” Alex comes with 17 years of dance, cheer, and tumbling training with 6 years of teaching experience. She is trained in Ballet, Jazz, Tap, Lyrical, Modern and Hip Hop. While growing up, she danced at Salt City Stars and Synergy where she excelled in technique under the direction of Meghan and Shannon. She also won many Dance Awards during her teenage years. 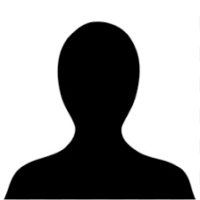 During High School, she was a Bingham High School Cheerleader and was also a member of Bingham’s Dance Company. 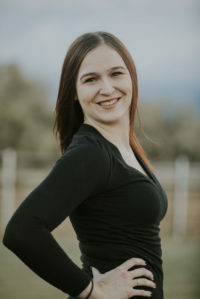 She attended Utah State University her freshman year of College and was a member of the USU Dance Team, Vilociti and assisted with choreography. Alex is currently attending the University of Utah and is a member of the Modern Dance Major Program. Contact info: 801 5889616 or alexismurphy419@gmail.com In high school, Mikaela was the captain of the Five Time State Champion Copper Hills Azurettes. She was also a member of the professional dance company “Underground”. This helped to broaden her knowledge on a wider variety of dance styles. Mikaela continued to dance after high school and was a member of the Utah State Dance Team (Aggiettes). She choreographed multiple pieces that were performed by the dance & cheer team. Mikaela also led the audition for the 2017-2018 team. During this time she was also a dance instructor at Dance Illusion in Logan Utah teaching Ballet, Hip Hop, Jazz & Lyrical. I started dancing and tumbling at the age of two, and have been going strong ever since! I started assisting for Synergy at the age of twelve and have been teaching my own classes for the past few years. I teach dance technique classes and tumbling classes up to level 4. I was on the Copper Hills Drill Team for 3 years and served as Co-Captiain my senior year. While on the drill team, I won several awards in Drill Down, awarded the drill All-Region Academic Award all three years, nominated for All-State Drill and a 3 time State Champion. I have training in jazz, ballet, hip hop, contemporary, tumbling, and acro. I currently work with the Azurettes (know for their advanced level tumbling and tricks) on their tumbling skills. I love teaching and it’s the greatest joy I could ask for. I love to make an impact on dancers and tumblers and watch them grow not only as a dancer but as a person. But most of all, I love watching Synergy grow not only as a studio, but as a family too. Kenzie Curtis has a background in gymnastics, competitive cheer, tumbling, and dance. She received the majority of her training from Macs cheer at level 5 and Hunts Gym with Paul Hunt and Kim Wilde. Kenzie was a member of the Alta High School Dance Company and head cheerleader at Corner Canyon High School. In college, Kenzie was a member of the University of Utah Dance Team. Kenzie currenty and does cheer choreography for various high schools, camps, and gyms. Lexi was a competitive gymnast for nine years. In high school, she was on the Riverton Varsity Squad for 3 years. While at Riverton, she won 3 region titles and 2 state titles. As a senior, she was named a member of the All-State Cheer Team. Lexi is currently a cheerleader at Utah Valley University where she continues her training and education. 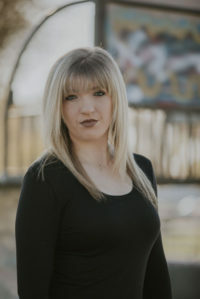 Kirsten Davis has been dancing and tumbling for 16 years; trained in jazz, lyrical, contemporary, hip hop, ballet, tumbling, and acro at Synergy Dance Academy. Kirsten is from West Jordan Utah and graduated from Copper Hills High School in 2016. While attending Copper Hills, she was a member of the drill team where she won 3 state championships. 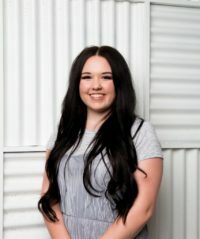 Kirsten quickly developed a reputation of being a strong dancer and tumbler, she is well-known for her innovative tumbling and tricking. She was able to be a part of the All-State drill team her junior and senior year. Kirsten competed in Miss Drill Utah as well as Miss Drill USA where she won the title of Miss Drill International when competing against international competitors. She is currently attending Utah Valley University where she is studying to be a nurse. Kirsten is also a captain of the UVU Dance Team, who recently became 2017 National Champions in Jazz and Hip Hop. Kirsten loves teaching dance and tumbling and is in high demand! 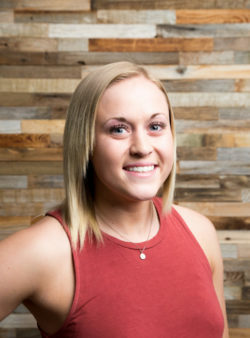 She currently works with drill teams across Utah with dance and tumbling. 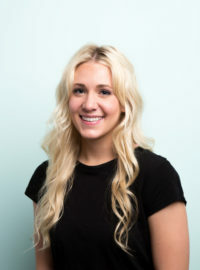 Kirsten has experience with beginning-advanced students, certified to teach up to level 4 tumbling. Kirsten has taught at Synergy Dance Academy for a total of 8 years. She has loved all the time she has spent at synergy as a student and now as a teacher! My name is Kayla Jones and this is my second year at Synergy Gym. I have extensive training and experience with stunting and tumbling. I work with the cheer teams at Synergy and teach mostly power 1, 2,and 3 tumbling. I am also an assistant cheer coach for Herriman High school, which has broadened my coaching experience. I love working with kids because it can be such a rewarding job, and I love creating positive hard working atmospheres for kids to progress and excel. My coach made a big impact in my life and I can only hope for that for these kids as well. Harmony has been in the tumbling and dance world since the age of 3, and has always aspired to teach. She trained at Collettes dancing school and Synergy Dance Academy. 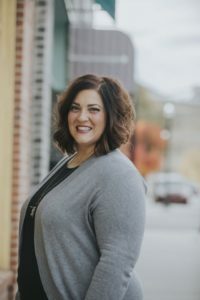 After graduating from High school, she spent a year at Snow College, exploring the child education programs and dancing on the Badgerette drill team. 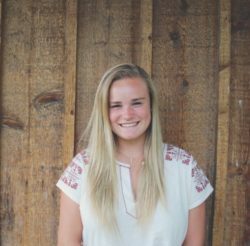 After serving a full time mission, Harmony is now studying at Brigham Young University with a major in education. This is Harmonys fourth year teaching at Synergy Academy and it is her dream job. She loves seeing every child improve and be the best they can be! I have always loved everything to do with dance! One of my greatest passions is teaching young dancers to find their own love for the art that has meant so much to me throughout my life. I live to see the joy on every students face when they get the trick or move they have been trying so hard to perfect or when they perform on the stage for the first time and get the rush of excitement and want to run back on and do it again! Melinda has been dancing for most of her life and has been trained in jazz, ballet, lyrical, hip hop, contemporary, modern and tap. Melinda was a member of her high school Dance Company for three years where she was able to choreograph many routines. She was an officer for 2 years of those years and was the West Jordan High School Dance Sterling Scholar. Since graduating she has had the opportunity to teach for many studios and has found her home at Synergy. I love everything Synergy Academy stands for and am proud to be a part of a studio that works hard to help each student reach their goals. My girls both dance at this studio and I wouldn’t want them anywhere else.